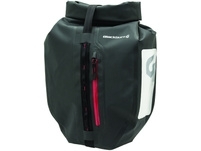 Product information "Blackburn Barrier Rear Pannier"
The mountable on luggage carriers Rear Pannier has the same features as the universal model . With extra large volume it gives you more flexibility . Related links to "Blackburn Barrier Rear Pannier"
Customer evaluation for "Blackburn Barrier Rear Pannier"